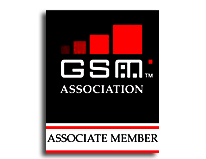 GSM signaling service is the first step in enabling subscribers to roam internationally via a single infrastructure. Signaling will enable various value added services such as SMS and MMS. With our Wholesale Signaling services, we carry the necessary signaling traffic of roaming partners over our global network via a single interconnection. Signaling connections to more than 700 mobile operators in more than 200 countries. Enabling signaling features – such as transfer of SMS messages and location updates – with our roaming partners. Easy & fast implementation of the roaming business service. Cost effective, simple pricing scheme.